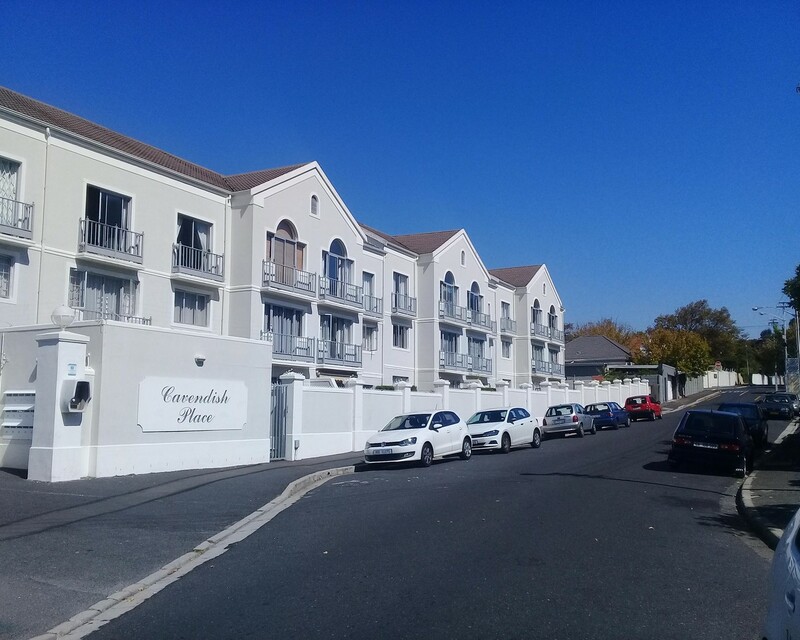 Sign up and receive Property Email Alerts of Apartments to let in Claremont Upper, Southern Suburbs. Sunny, Spacious, Secure- these words aptly describe this beautiful apartment. The apartment block is attractive from the outside with the most amazing view of the mountain. Being on the ground floor means you have a small garden where you can braai and entertain. The kitchen has a brand new oven and hob, many cupboards, a place for barstools around the counter and a place for dishwasher or washing machine. Open-plan Lounge and Dining room with doors opening out to patio and small garden. Bathroom with bath/shower and toilet. 2nd Bedroom can fit double bed and has built-in cupboards, Main Bedroom fits a King size Bed, has an en-suite shower toilet and basin and has plenty of built-in cupboards. The complex is secure with electric fencing on the perimeter wall and trellidoors and burglar proofing. There are two on-site parkings. Sign-up and receive Property Email Alerts of Apartments to let in Claremont Upper, Southern Suburbs.